For those of you seeking a slightly different alternative for your health regime, or curious about trying something fresh and new with incredible health benefits, why not try yoga? For those of you unsure as to what it is – as I’m sure many of us, myself included, have heard of it before, but have not understood what it entails or stands for – allow me to explain. A few days ago I had the pleasure of meeting up with an incredible individual by the name of Arturo Garcia Olivera. He is of Mexican origin and has been living and practising yoga here in Canada for the past 5 years. Arturo has been practising yoga for the past 19 consecutive years of his life. He is only 39 years of age and has managed to master the art of Yoga, as well as earn the position of trainer of yoga instructors. In the beginning, Mr. Garcia Olivera did not desire to attend yoga class. One of his good friends, who had signed up for a class, would request that Arturo accompany him and that they participate in the class together. Arturo never had the heart to say no to his friend, as he explained to me, and so he would attend the class with his friend time after time, until the year was up. That was his introduction to yoga. By the time the class was finished for the season, Arturo had discovered a new workout routine, hobby and passion. From that point on his career took shape. Yoga is a union of the different areas within the human body: physical, mental, emotional, spiritual, and energetic, which make us complete and whole as human beings. By practising yoga we are able to bring balance and harmony among these areas within ourselves. Through various movements, such as strong holding positions testing our strength, softer flow movements challenging our agility, or stretching in other movements which extend our flexibility, we are able to gain focus and strength as well as many numerous health benefits. Yoga is for everyone because there is not one kind but many forms. For instance, Arturo is a certified yoga therapy instructor as well. This means that he is able to teach those with specific health needs. This form of yoga is called therapeutic yoga. Some examples of people who can benefit from yoga are those who suffer from arthritis problems, those who suffer from insomnia, or even depression. Yoga classes can be designed to help people with injuries or illnesses, just as well as those who are in good physical shape. As far as health benefits go, there is much to be gained from each session. There just so happens to be a lovely Yoga Retreat coming up, for all those who are curious about trying it, either as a new beginner or an already active yoga enthusiast. Previous yoga experience is not required for this retreat. Arturo will be leading all those wishing to participate. This great opportunity takes place over at the Anishinabe Spiritual Centre here in Espanola. The friendly folk there would be more than happy to extend their hospitality and share the beautiful grounds with those interested. The retreat will be on the weekend of the 24th through the 26th of August 2012. However, if you desire to extend your stay for further yoga, relaxation time, or other enjoyment, you can do so. 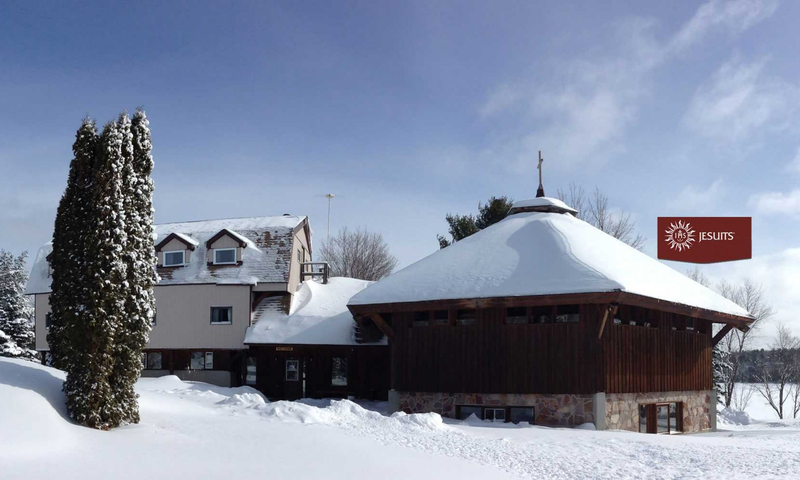 For information either on the retreat, or to stay at the Centre some other time, check out the website at www.AnishinabeSpiritualCentre.ca or phone (705) 869 – 4994. The people at the Centre would love to assist you in any way possible, so please do not hesitate to contact them. This ancient Indian practise is slowly gaining popularity here in the Western world. I am simply inviting you to experience an alternative method to attaining good health in all aspects of the human person. I hope some of you will decide to give yoga a chance and discover for yourself what can be gained, according to your individual needs. See you there!